Last October, we completed a decade of being in business. 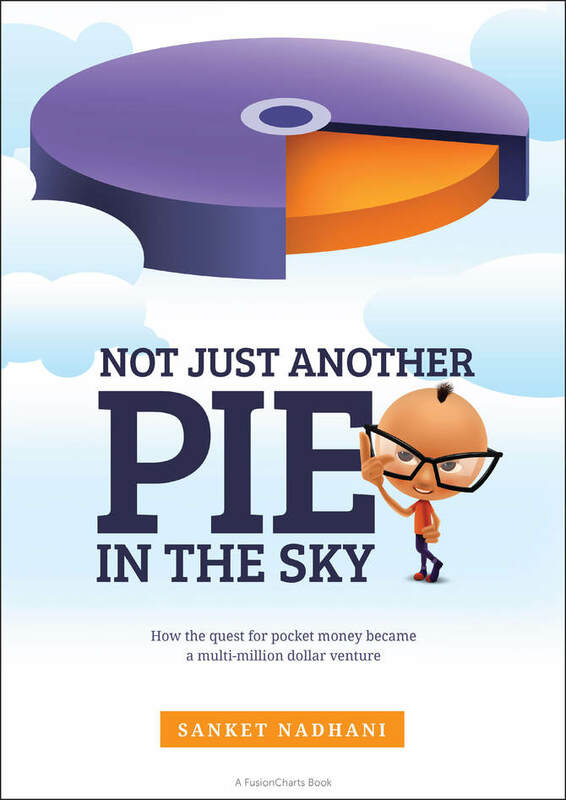 And with that we released a book on our entire journey, aptly titled Not Just Another Pie In The Sky. PDF only to begin with, it is now available on Kindle as well at $5.99. So go ahead, get yourselves a copy and let us know what you think of it. FusionCharts was started by a 17-year old in a quest for more pocket money. With no business learnings whatsoever and in a country not exactly known for its software product, the ten-year journey was quite a, well, journey. We made a loss on our first sale. Our biggest marketing campaign come from our lack of legal knowledge. We had to shut down our office for a week because it got flooded. People found love at work. We had a paranormal entity in our office. And then there was Barack Obama using our products, looking quite impressed with what he saw. The book takes you through the decade-long trials and tribulations of the company in a light and fun read. Go ahead get a sneak peek. Well, people have been saying a lot of things about it. “You guys are so full of yourself,” said one. But that one was the only one, as far as we remember. Others have been calling it candid, inspiring, hilarious,and entertaining. Soulful, too. “Great stuff,” said Derek Sivers, founder of CD Baby and more popularly called one of the last music-business folk heroes. “Inspiring,” said Dharmesh Shah, co-founder and CTO of Hubspot. Enough with the name-dropping. Next post: Got a fugly dashboard? The FusionCharts Clinic is here to help.